Bord na Móna Growise Pro 5 All Purpose Compost is not suitable for ericaceous plants such as Rhododendrons, Azaleas and Camellias. For this group of plants you should use Bord na Móna Growise Ericaceous Compost. 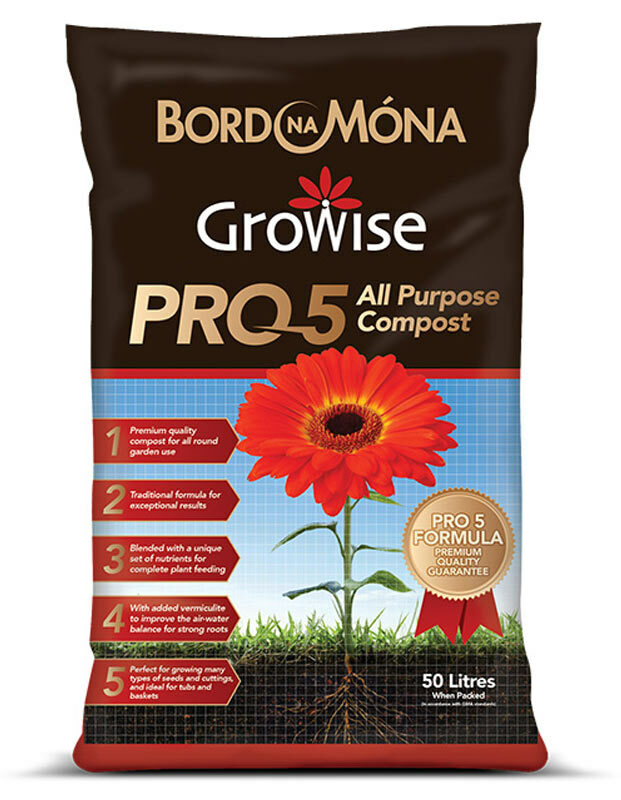 Bord na Móna Growise Pro 5 All Purpose Compost contains all the nutrients your plants need for the first 6-7 weeks in their new setting. From then on, feed them every 7–14 days. ll of our Bord na Móna compost contains a mixture of peat and alternative sustainable ingredients. 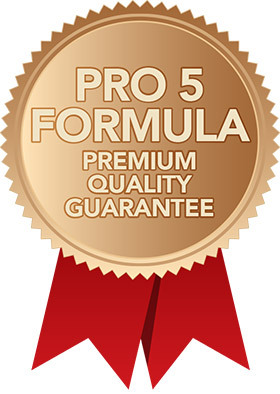 Bord na Móna Growise Pro 5 All Purpose Compost is a superior blend of high quality Irish peat, sustainable alternative ingredients and vermiculite. These ingredients are mixed with essential plant nutrients to produce a premium compost perfect for germinating seeds, growing on seedlings, tubs and baskets. The sustainable ingredients provide natural nutrients and bigger, brighter blooms, while vermiculite optimises air-water balance to ensure healthy roots. A wetting agent is added to the compost to help easy and even wetting-up when watering. Bord na Móna Growise Pro 5 All Purpose Compost is ideal for use with both indoor and outdoor plants. 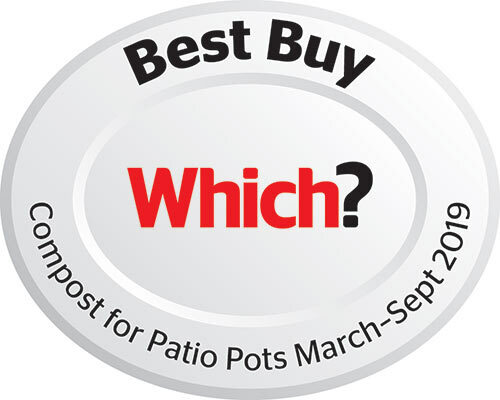 It is recommended for sowing seeds, rooting cuttings and filling pots, hanging baskets and tubs. Always use the compost straight from the bag and do not mix it with other materials before use. Different seeds have different requirements, so always follow instructions on the packet. Fill a clean seed tray or pot with Bord na Móna Growise Pro 5 All Purpose Compost and firm it gently. Sow the seeds according to the instructions on the pack. Water the compost using a watering can with a fine rose. For specialist seeds use Bord na Móna Growise Seed & Cutting Compost. When the seedlings have at least one pair of leaves move them to new trays or pots to allow more space to grow. Fill a clean container with Bord na Móna Growise Pro 5 All Purpose Compost, firm gently. Make a series of holes the width of a pencil and about 5cm (2in) apart. Lift each seedling gently by its leaves (not roots), place it carefully in one of the holes and firm the compost around it, making sure not to damage the stem. When you have filled all the holes, water the compost thoroughly using a watering can with a fine rose. Do not over water. Place the tray or pot in a light position but away from direct sunlight. For specialist seedlings use Bord na Móna Growise Seed & Cutting Compost. Make a clean, angled cut below a leaf and then remove the lower leaves from the cutting. Dip the cut end in a rooting powder, following manufacturer’s instructions. Fill a pot with Bord na Móna Growise Pro 5 All Purpose Compost, make a hole in the compost and insert the cutting. Carefully firm the compost around the cutting with your fingertips. Water gently, using a watering can with a fine rose. Cover the cutting and pot with a clear plastic bag to retain moisture and keep out of direct sunlight. 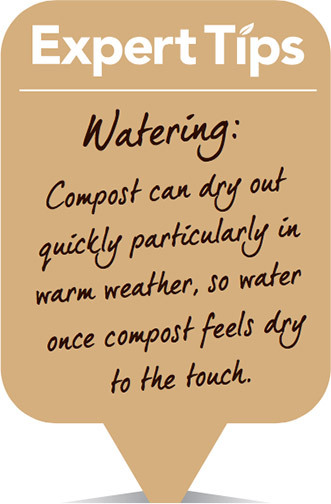 Only water when the compost feels dry or if the cutting starts to wilt. For specialist cuttings use Bord na Móna Growise Seed & Cutting Compost. Partly fill the new, larger pot with Bord na Móna Growise Pro 5 All Purpose Compost. Remove the plant from the old pot. Place the plant in the new pot, making sure the plant is at the same level as it was in the original pot and fill the pot with compost, firming lightly. Water the compost thoroughly. Do not over water, as this can cause leaching of nutrients or water logging. If necessary line the basket well with an appropriate liner. Half fill the basket with Bord na Móna Growise Pro 5 All Purpose Compost. After selecting the appropriate plant colour scheme, work through plant structure i.e. tall plants for centre, trailing plants at edges, as well as foliage and colourful plants to give the desired effect you want to create. Fill the basket with plants, working the compost around the root systems one plant at a time. Water the basket thoroughly initially. Thereafter ensuring it does not dry out. For specialist container and hanging baskets use Bord na Móna Growise Tub & Basket Compost. For planting out flowers, trees and shrubs, dig a hole that is a few inches wider than the root ball. Add a thick layer of Bord na Móna Growise Pro 5 All Purpose Compost all round the hole. Place the plant in the hole, making sure that the plant is at the same level as it was in the pot i.e. don’t bury the stem. Fill the hole with a 50:50 mixture of compost and soil. Firm the mixture around the plant and water it well.